Meredith Boyd, Mrs. Georgia International 2008: Mere’s Miracles! 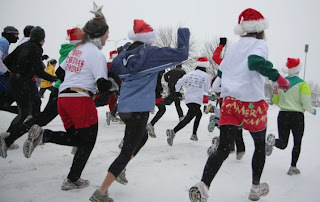 Bells will be ringing this holiday season as thousands of runners and walkers hit the nation’s pavements, pathways and parks this winter to fight arthritis, the nation’s most common cause of disability. 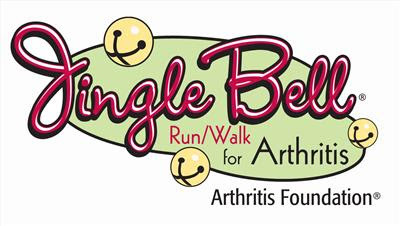 My dearest friend Angela Smith, Mrs. North Dakota International will be one of those people, tying jingle bells to her shoelaces to participate in the Jingle Bell Run/Walk for Arthritis, a 5K fun run/walk to benefit the Arthritis Foundation! Her team is called “Mere’s Miracles” in honor of my quest to help those who suffer everyday from this disease. Thank you so much Ang and your girls! And YOU can help, too! ‘Tis the season for giving! Won’t you sponsor Mere’s Miracles to help raise funds to fight arthritis? Arthritis affects more than 46 million Americans, including 300,000 children, costing the U.S economy over $128 billion annually. The Arthritis Foundation needs our help. Please visit Mere’s Miracles Web page to join the team or make a secure, online contribution to help raise the needed funds for the Arthritis Foundation’s mission to prevent, control and cure arthritis. Jingle, Jingle, Jingle … A little change makes a lot of cents! First comes her Master’s degree in drama -– and then comes her dream of becoming a Broadway performer. Julianna Erdesz is this year’s Miss Nevada, competing against 51 other contestants in the Feb. 3 Miss America pageant at the Planet Hollywood Theatre for the Performing Arts, and she will be showcasing her vocal skills in the talent portion of the contest. The 24-year-old former University of Nevada-Reno student made the Dean’s List while there. Since then, she’s gone on to the American Musical and Dramatic Academy with a $20,000 audition-based scholarship and also at the New School University. It’s really been a case of putting herself through college earning a $10,000 Government Millennium scholarship at the same time as being Miss Carson City! Miriam “Mimi” Pabon, Puerto Rico’s delegate in the Miss International pageant, continues to impress in the many pictures that have been distributed of her in this pageant’s events. She is also included in many top lists and in ever picture she excels. There is a lot of expecation with this girl. 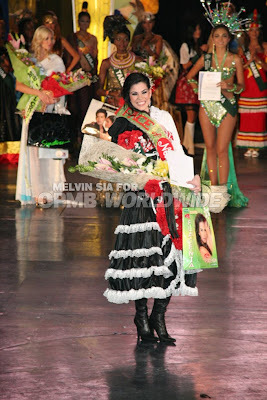 Would she be the second Puerto Rican to win the crown of Miss International? Beauties of America Pageant – Official Blogspot: hey yall! Wow! Everything comes in groups! I was honored to judge a preliminary pageant for the Dream Girls USA system in Kings Mountain, NC – really close to my hometown of Charlotte, NC. The pageant was a lot of fun with a really cool category for the upcoming holiday, HALLOWEEN COSTUME of choice!! It was fun to see the contestants pick out different varieties of costumes and branch out a little bit from the “typical” pageant everyone is used to! I have never seen such professional little girls in my life! Serious talent there! Future Beauties of America’s, Miss America’s and Miss USA’s right in front of my eyes! 🙂 Thanks to Misty Carson and Jeree’ Current for having me!